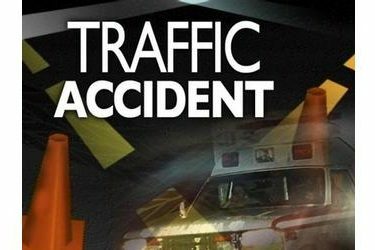 The Oklahoma Highway Patrol reported a personal injury collision occurred about 3:16 p.m. Friday on US 412 Cimarron Turnpike eastbound, about 0.3 miles east of mile marker 57, which is located about 4 miles west of Westport, OK in Pawnee County. The patrol said the accident involved a 2016 Chevrolet Cruze driven by Destiny Rai’Shonne Simien (SIC), 19, of Tulsa, OK. Simien was not injured. A passenger in the vehicle, Pete Pershawn Ledbetter (SIC), 19, of Tulsa, OK was transported by ambulance to St. Francis in Tulsa in stable condition with arm and trunk internal injuries. The Highway Patrol’s report stated that Simien’s vehicle was eastbound on US412, departed the roadway left for an unknown reason, overcorrected, departed the roadway right, struck the guardrail, came back across both lanes of traffic, and came to rest against the cable barrier. Seatbelts were equipped and in use by the driver, but not in use by the passenger. The condition of the driver was apparently normal and the cause of the collision is under investigation.